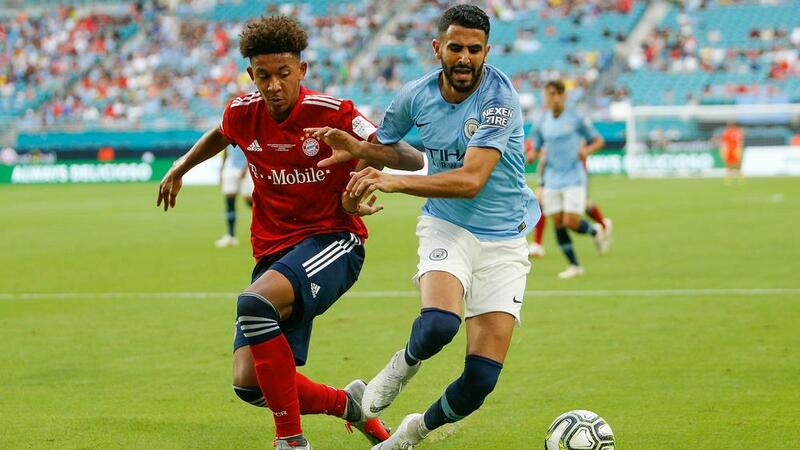 Bayern Munich have completed the signing of Chris Richards from Dallas on a four-and-a-half-year deal. The 18-year-old has finalised a permanent move to the Allianz Arena after impressing in a loan spell with the Under-19 side. "I've always dreamt of playing for a big European club and now I'm at one of the world's top teams. I'm really happy," Richards told Bayern's official website. Bayern campus manager Jochen Sauer said: "We are very happy that we have agreed Chris' transfer from Dallas. "Chris has represented us very well in the last six months and we are convinced that he will continue to develop well here at Bayern. We see great potential in him." Richards' arrival was described as "a landmark moment" for Bayern's development partnership with the MLS side by the Bavarian giants' president of the Americas, Rudolf Vidal. "Just under a year ago, we entered a partnership with Dallas to create pathways to professional soccer in the US and Europe for young players. To be able to announce the transfer of a player today is a landmark moment for all involved," he said.